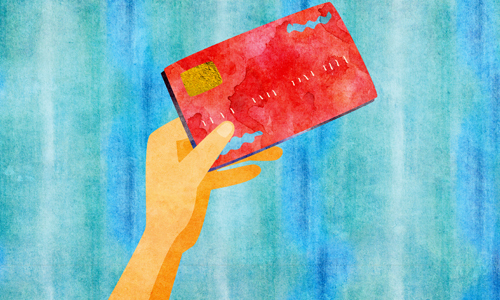 A recent New York Times article examined what Americans are doing with their money these days. One family installed palm trees on their Hamptons property which they fly to Florida each winter (the palm trees, not the property). A woman hired a "personal secretary" to tend to her hairdresser appointments, and then hired an assistant to the secretary. "It's like cats," she explained. "You need two of them so that they can keep each other company while you're away." A similar problem plagued the Children of Israel more than 33 centuries ago. They had drained Egypt of its wealth, and then the Red Sea spewed out the jewels that had adorned the drowned Egyptians. So they, too, had too much gold. But back then, people had a more direct approach to things. Instead of devising all these ingenious ways of saying, "Hey, look! I have more money than I know what to do with! But don't worry! I'll keep on doing my darnest to have even more! ", they cast a calf of pure gold, put it up on a pedestal, and worshipped it. How did G‑d address the gold-sickness of His newly chosen people? He didn't abolish gold. He didn't even take away theirs. He told them to use their gold to build Him a Sanctuary. Compulsive overeating is a horrible disease: it's unhealthy, it can even kill you. But the urge to eat is not only healthy---it's vital to life itself. The same is true of every negative phenomenon. There is nothing intrinsically bad in G‑d's world: every evil is a perverted good, every psychosis a healthy instinct gone awry. So before we get all riled up over that woman with the two secretaries, let us try to understand the tendency of humans to splurge, flaunt and luxuriate in their wealth. We understand why we need food; we understand why we need shelter; but why do we crave gold? In essence, the craving for gold is a yearning for transcendence. It is man saying: I am not content to merely exist and subsist; I want to exalt in life, I want to touch its magnificence and sublimity. Of course, flying your palm trees to Miami each winter is not sublime. It's pathetic. It is a gross distortion of the most noble strivings of the human soul. The answer, however, is not to squelch these strivings, but to purge them of their negative expressions. Use your yearning for gold to make a home for G‑d. absurd behavior I don't understand how could people be so idiotic back then. I mean, if I heard someone say, "hey guys, how about we take out your money from the banks in form of paper bills, and build a giant badger out of it". Duh..